Love of photography is not limited to age or gender. If your kid is showing an interest in photography you need to be encouraging them to show off their creative side. Buying them one of the best kid cameras in the industry is a great way to help them develop their skills, but it can also be overwhelming especially if you know nothing about cameras. Keep reading to discover our tips for buying the best kid cameras and what we feel are the top 10 best kid cameras for 2018. Not all cameras are created equal. Just like not all kids will have the same level of interest in photography. When choosing the best kid cameras you need to keep a few factors in mind. Some cameras are ideal for children ages three and up, while others should only be used with older children or even teenagers. A good rule to follow with kids is the younger they are the bigger the camera. Durability also needs to be taken into account; younger children tend to drop things so you want something that can stand up to the age of the kids and their intended use. With younger children the easier the camera is to use the better. Older kids, especially if they are interested in photography, can use a more advanced camera as it offers more features. How interested your child is in photography helps determine what kind of camera you should buy. Kids that are mildly interested in it will be happy with a basic camera that offers basic functions. Kids who view photography as a serious hobby will not be quite as happy with a basic camera. They will need something a little more advanced, something that takes high-quality pictures and offers a variety of features and accessories. What your child plans to use the camera for plays a big role in what kind of camera you end up buying. If your child plans to do a lot of outdoor photography you are going to need something that can withstand the various elements. If your child simply just wants to take pictures of random things to share with their friends or family a basic camera will work. As with adult cameras, you have the choice between Polaroid and digital for the best kid cameras. What one you should get will really depend on your child and what they enjoy. With a digital camera, you can find cameras with more features and benefits. You can take and delete as many pictures as needed until your child gets the ones they are happy with. With digital cameras, you no longer have to worry about wasting film. A Polaroid camera offers your kids a picture they can see, feel, and share with others. Instant pictures on printed paper allow your kids to review what they have just taken, which can be a great learning tool. As Polaroid cameras require film you cannot take and delete pictures like you can with a digital camera. 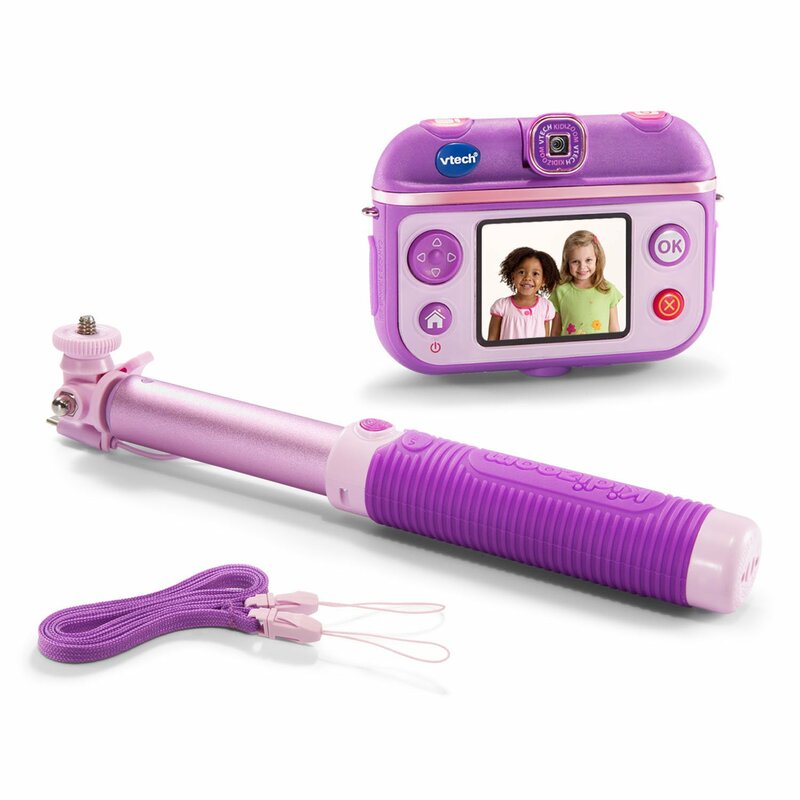 The VTech Kidizoom DUO is a durable and fun camera that your child will find is always ready for action. The DUO features two lenses with a dedicated lens switching button. The purpose of the two lenses is to give your child the chance to perfect their selfies and to experience the fun of regular photography. The 2.4-inch display allows kids to instantly view the images they captured. The DUO has 256MB of built-in memory and the option to add a 32GB microSD card for more. 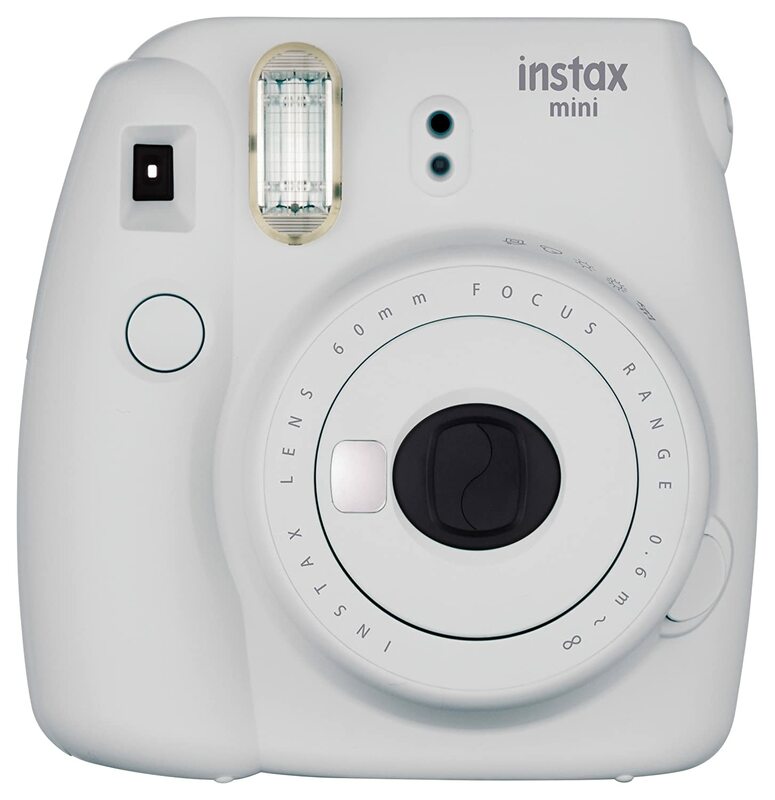 The Instax Mini 9 is the new and improved version of the Mini 8. With the Mini 9, you will get more features than the Mini 8 but will have the same durability. The Instax Mini 9 offers a springy and rugged plastic housing design that can withstand a household of kids. The Mini 9 requires two AA batteries to run and offers a macro lens for the perfect close-ups. High-key mode and the automatic exposure measurement system allow kids to get the perfect pictures every time, all they need to do is point and shot. 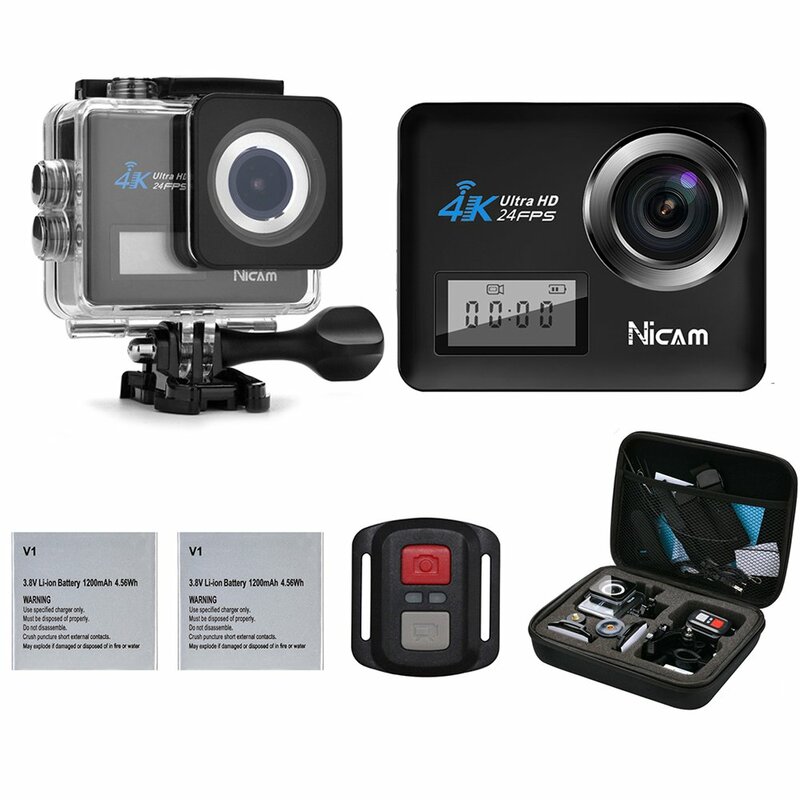 The NICAM 4K WiFi is the ideal camera for children who like to capture life on the go. The small, lightweight camera is wearable and mountable, plus it can be controlled with a remote control or by voice control. The durable NICAM is waterproof up to 100 feet as long as you use the waterproof case that comes with the camera. Image stabilization provides smooth and steady pictures and videos in 4K. When capturing pictures the image angle will automatically adjust up to 170 degrees. With WiFi connectivity, your child can quickly and easily share their creations directly on social media platforms. 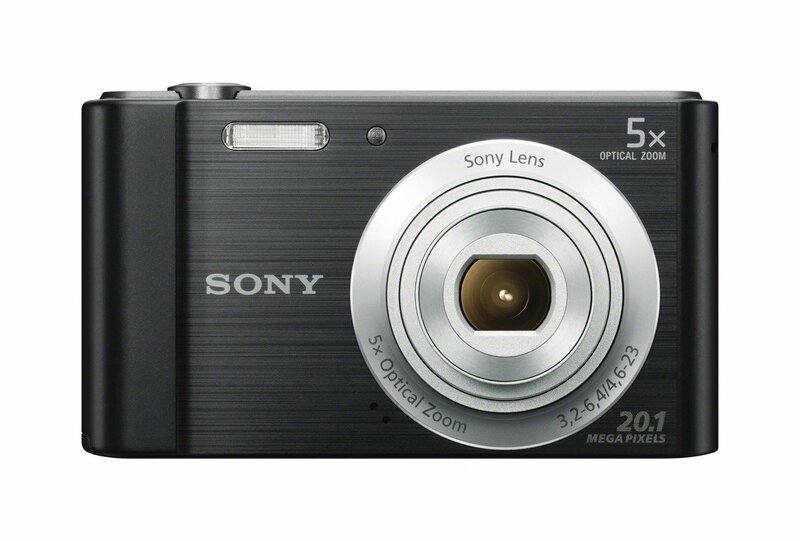 If you are looking for a point and shoot for your pre-teen or even teenager the Sony DSCW800/B is the best choice. This one is a bit better than most kid-friendly cameras as it isn’t limited on features. With the Sony DSCW800/B, your child will be able to capture 720p HD video with a 5x optical zoom. While the camera comes with all of the bells and whistles you have the ability to opt for “Easy Mode” which minimizes the number of features being displayed and used in the menu. Additional features that young photographers will find helpful include SteadyShot image stabilization and panorama mode. If you are looking for something that can be used with infants up to the toddler years the Laugh & Learn Click ‘n Learn camera is an excellent choice. With this durable camera babies as young as 6 months old can mimic what mom and dad or even older siblings are doing. 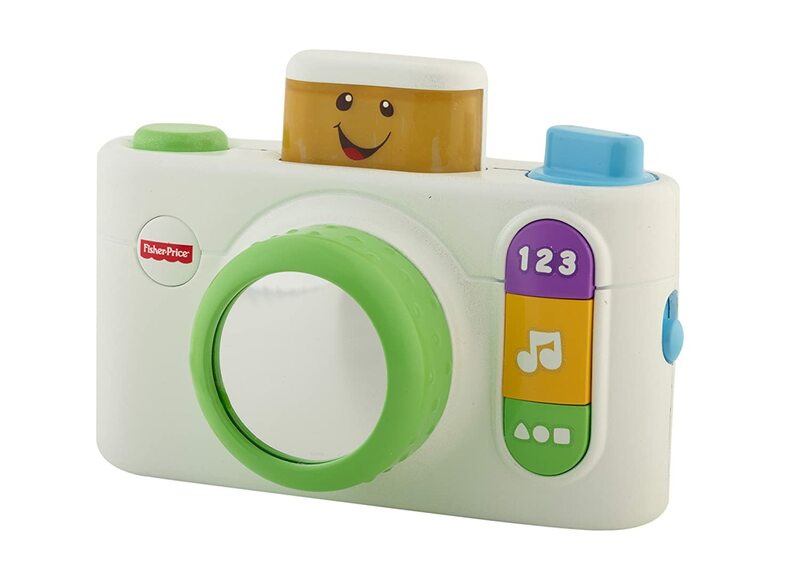 With the camera infants and toddlers can learn the basics of how a camera works, but can also learn colors, shapes, words, and numbers too. The camera sings and flashes lights when the shutter is clicked. Selfies aren’t just limited to adults, kids love taking them too. With the VTech Kidizoom Selfie Cam, your child can now perfect their selfie-taking skills as the lens of the camera is easily rotated for the perfect shots. Along with the rotating lens, the Selfie Cam also comes with a matching selfie stick for those far off or up above shots. Your child has the option of taking pictures or recording a 5-minute video clip, plus with the image editing software, kids can really personalize their style. 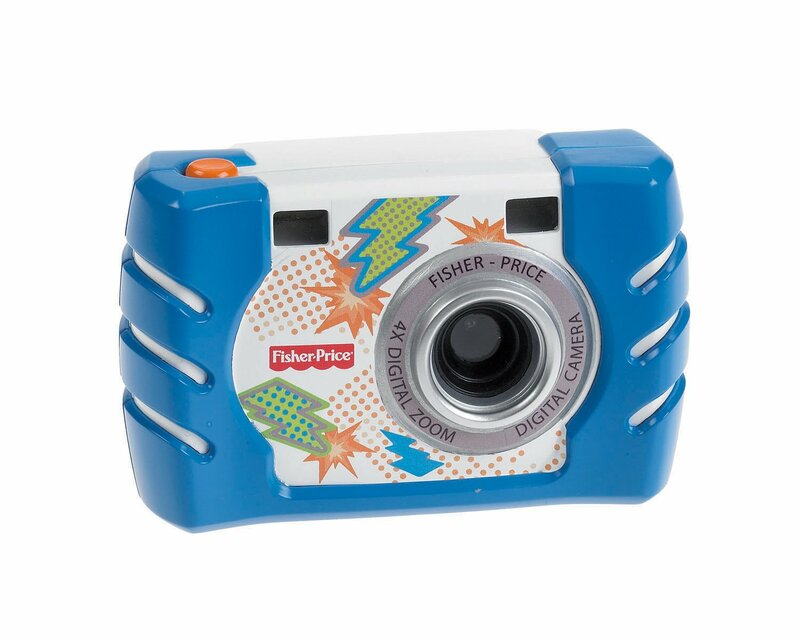 If you are looking for a durable camera that is safe for kids as young as 3 years old the Fisher Price Kid Tough Digital Camera is an excellent choice. Although this camera might look like a toy we promise you it is a functioning digital camera. It was simply designed with very young kids in mind and can withstand endless drops. The 4x digital zoom allows for close-ups and the dual viewfinder makes lining up those shots a breeze. The 1.4-inch screen on back allows your child to see the images they have taken. Children have the ability to apply various customizations to personalize each shot. 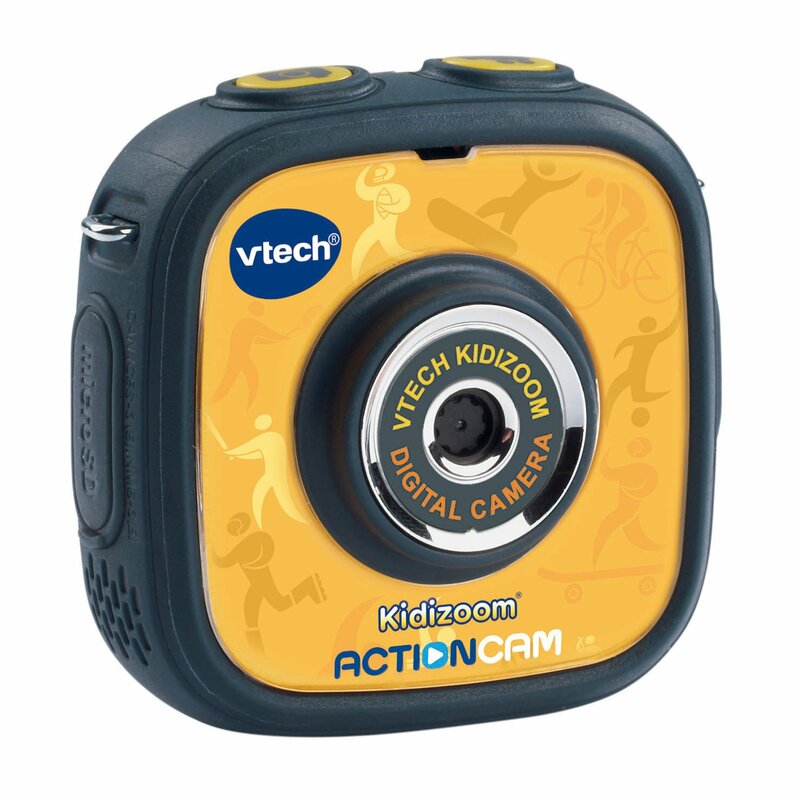 The VTech Kidizoom Action Cam is to kids like a GoPro is to adults. If you have an active and adventurous child between the ages of 6 to 9 years old this is a great investment. This camera is ideal for all outdoor shoots as it is built to be durable. The tough casing is both waterproof and shatterproof making it safe to take on biking or skateboarding adventures. Your child has the ability to make simple changes to the frames and has plenty of special effects to choose from to make the pictures or VGA quality video their own. 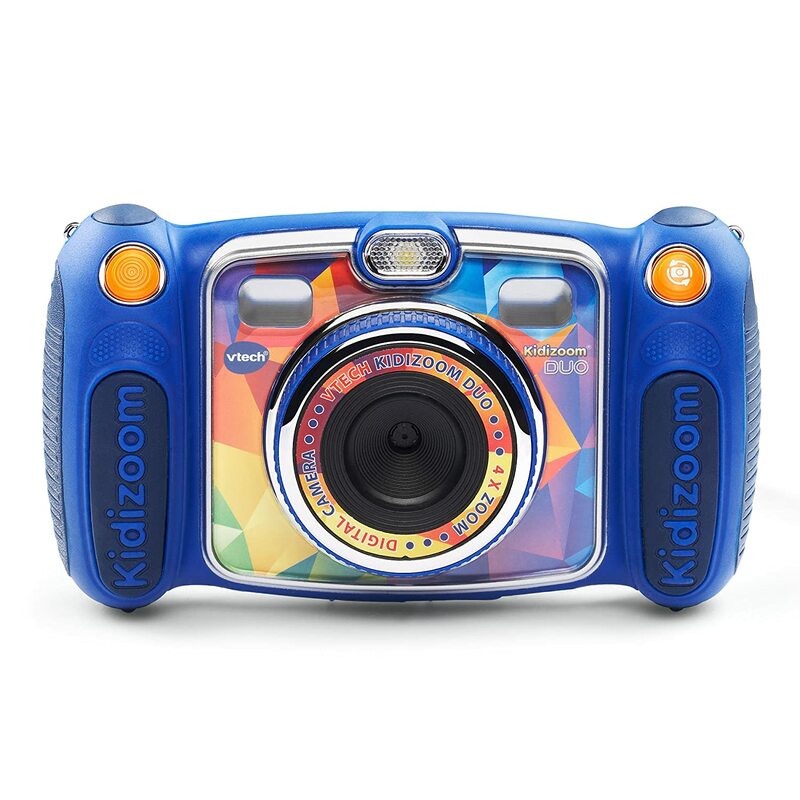 The Kidizoom Camera Pix is an ideal choice for children between the ages of 3 and 8 years old. 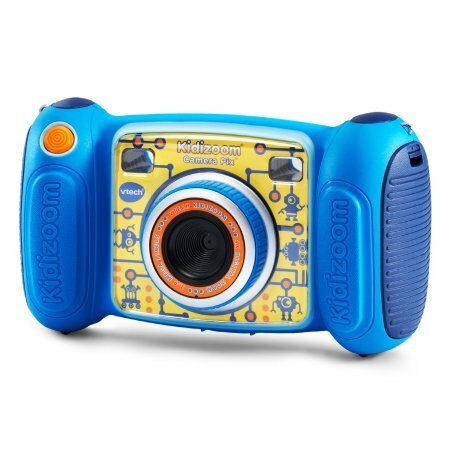 One of the things that makes the Kidizoom Camera Pix stand out from all of the other VTech Kidizoom cameras is how easy it is to operate. Despite its easy operation, the Kidizoom doesn’t skimp out on creative opportunities. The lens doesn’t rotate and there is no button to push to turn the camera into selfie mode, the camera does all of the work with the automatic selfie mode. The Kidizoom can take pictures and videos and even offers voice changing effects. The GoPro HERO 4 Silver Edition is an excellent choice for those of you looking for a camera with video recording abilities for older kids. One of the most popular features of the GoPro HERO 4 is its ability to be controlled via an iOS or Android. 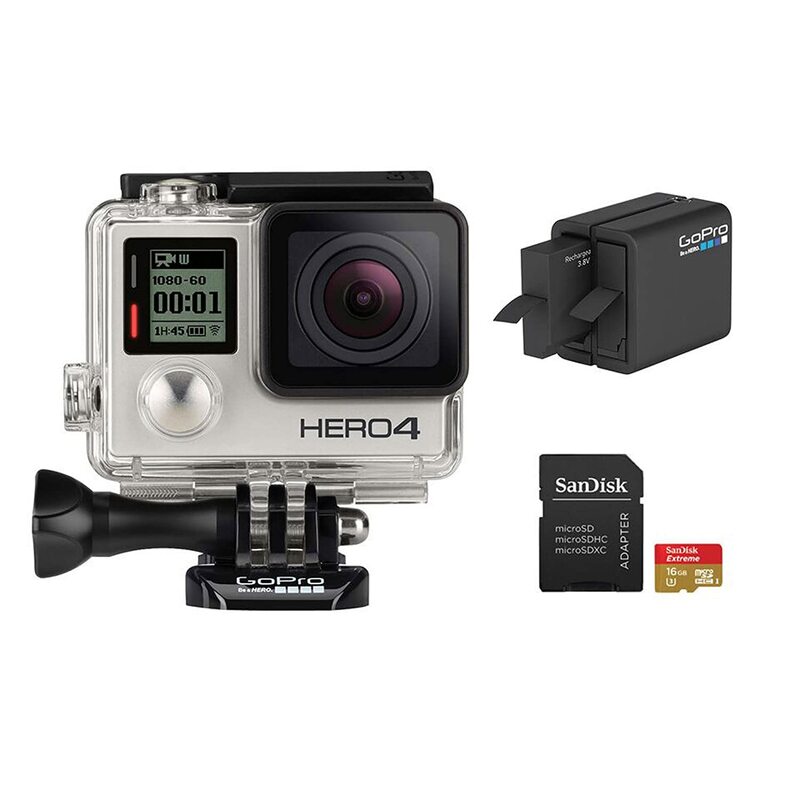 With the GoPro HERO 4, you will get a 14-megapixel CMOS sensor for amazing images and HD quality video. Using a 32GB TF card you can record up to 5 hours of 1080p HD videos. The durable casing offers protection from the harshest elements. The GoPro HERO 4 comes with a variety of accessories giving your child the ability to expand their creativity and artistic expression.